A timeshare owner from North Carolina flies 1,265 miles to build an elementary school in rural Haiti, her third such trip in three years. A timeshare owner on the opposite coast registers voters at a community street fair, encouraging others to exercise their civic right. Elsewhere, a front desk agent stuffs empty bottles and wrappers into a black trash bag on the shore of an alpine lake. These are just a few of the real ways timeshare owners, guests, and employees will make a difference at home and abroad this summer. When we talk about social responsibility, we tend to focus on the impact it has on the community. We think in terms of people served, dollars donated, and problems solved—all important considerations. But doing good is also good for business, and this is especially true when it comes to timeshare resorts. If your resort wants to stay ahead of industry trends and thrive in the coming years, consider implementing a giving program or expanding one that you already have. Social responsibility engages owners, attracts new guests, and improves employee retention—all of which ultimately help your bottom line. You may think you lack the time, money, and human resources to give back. But with so much at stake, how can your resort afford not to? Consider a 2013 study by Cone Communications, which found that 90 percent of Americans say they are more likely to trust and remain loyal to companies that back causes. In an industry that faces reputation challenges and depends on lifetime loyalty, social responsibility delivers a powerful one-two punch, enhancing the public perception of timeshare and increasing the sense of emotional and financial commitment owners feel toward their home resort and management company. Grand Pacific Resorts made social responsibility a priority early in our history, partnering with organizations such as Christel House. Since then our philanthropic reach has grown and so have our profits. Our success is due largely to our passionate service culture and collaborate management approach. But our giving program has played an important role as well, helping us build relationships in the communities we serve and energizing a diverse network of owners, guests, and associates to become more involved with our company. We saw this effect firsthand when we sponsored four charity walks to benefit the American Foundation for Suicide Prevention (AFSP) in 2014. Shirley Kaminsky, an owner at the Makai Club Resort who also sits on the AFSP board, said she literally cried when she found out about our sponsorship. Similarly, Susan Webster, founder of Pacific Cancer Fitness, became one of our most passionate brand advocates after our rental arm, ResorTime, made a $2,500 donation to her cause. Susan’s social media posts drove more than 8,000 visitors to our website in one month, proving that marketing dollars can make a difference even as they drive results. As Grand Pacific Resorts has expanded our social responsibility program, we have noticed an increase in associate loyalty and retention as well. This is not surprising, as a recent Society for Human Resources Management study found that companies with strong sustainability programs had 55 percent better morale and 38 percent better employee loyalty. Your resort employees are your most valuable asset, and the rise of social media means that they are more globally connected than ever before with a strong social conscience. Many of our associates are involved with non-profit organizations, and it is our pleasure as well as our responsibility to support their volunteer activities. 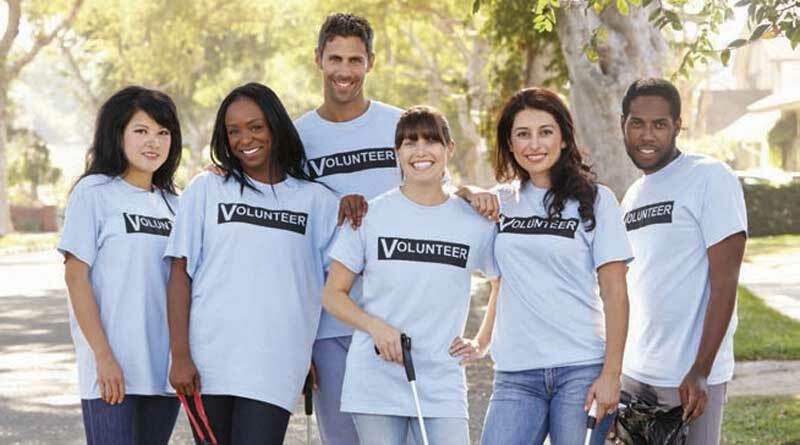 We also invite our employees to participate in our social responsibility program whenever possible. This can be as simple as hosting regular beach clean-ups or soliciting input about future giving. In a world in which social responsibility is top-of-mind and consumers are willing to pay more for services that benefit the common well-being, giving and sustainability are no longer optional even for individual resorts. Fortunately, doing good is also good for business, and whatever you invest in our world will come back to you many times over in owner engagement and employee loyalty. You may even find yourself attracting new guests and owners who want to be part of a meaningful community. That is the power of giving.